There is a long list of all the things we look forward to in the autumn season - crisp fall weather, colorful landscape, the holidays, or all things pumpkin spice. Raking piles and piles of leaves usually does not make that list! As much as I enjoy to changing colors, the chore of raking up all those leaves after they fall off the trees can be a pain. Not only a nuisance, but a physical pain! 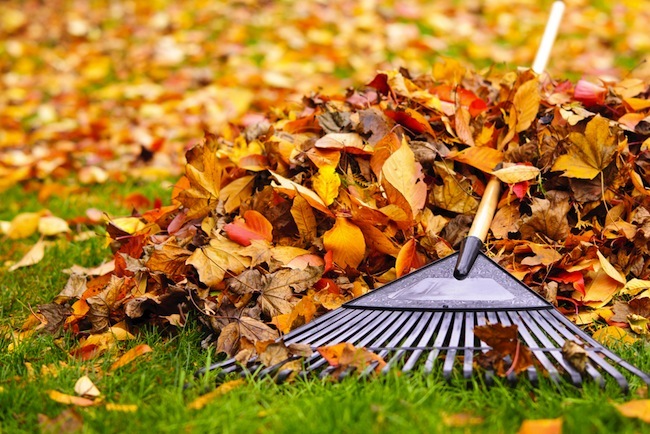 Raking and lifting bags of leave is a repetitive motion that can do harm to your body while you clean up your yard. Keep these tips in mind to avoid injury this fall! 4) When picking up the leaves, bend at the knee and not the waist! By doing so, you can recruit your leg muscles to support the weight, rather than put all the weight onto the back. 6) Try switching sides to avoid overuse on one side of the body or the other. Setting a timer for a few minutes can remind you to switch rake arms frequently. 7) Opt for slip resistant shoes, especially if leaves are wet. While raking, keep your feet shoulder width apart to improve your base of support and maintain your balance. 8) Cool down when you’re finished with gentle stretches to relieve muscle tension.